I want them all!!! 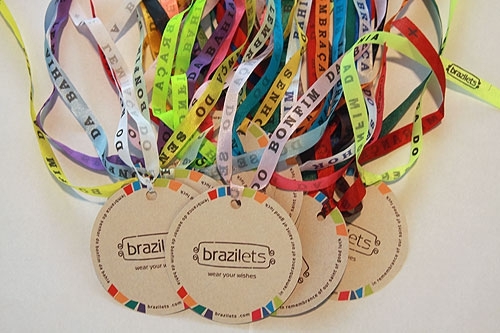 Which is great because you can buy them individually or buy the entire set! 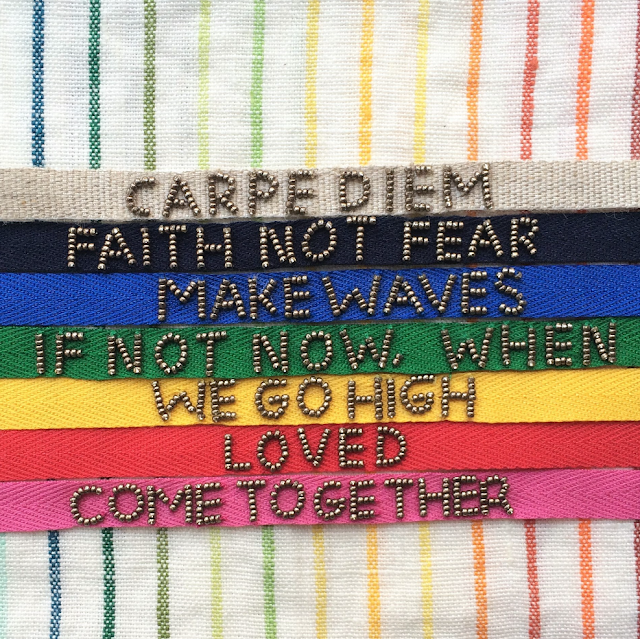 Which one will you choose??? Call me a skeptic but, I'm not one to fall for that magic pill boasting weight loss, or that lotion that promises to turn back the hands of time, but when I heard about Smile Brilliant I thought this one I had to try. At 45 years old and a major coffee drinker my teeth definitely needed a brightening, I have tried every whitening toothpaste, strip, gel, paint and whatever else you could find in the drugstore, and although my teeth weren't all that yellow to begin with, I never seemed to see any kind of noticeable results from the drugstore products. 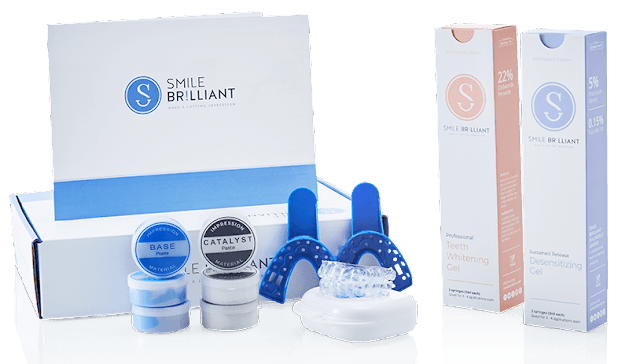 Smile Brilliant is a affordable at home teeth whitening system comparable to what you would get from your dentist but for a fraction of the cost, and without any time consuming and pricey dental visits, Smile Brilliant is equally if not more effective. There are six different systems to choose from, heavy stains to lights stains, sensitive to non-sensitive. I have sensitive teeth so I went with the T6 Sensitive System (average stains) which is $165, included in the kit is a set of impression trays and impression material so you customize your dental trays, it's super easy to do and practically fool proof but if you do make a mistake they include 3 sets of impression materials so you are sure to get a perfect impression of your mouth. 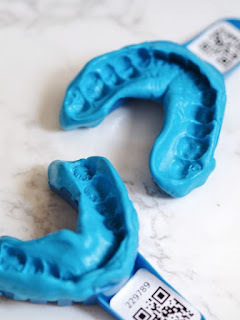 You have questions, yes I did too luckily Smile Brilliant's 7 Things to Know before Buying Teeth Whitening answered everything I wanted to know and made me super comfortable using their products. Once your impression are made you send them back to the Smile Brilliant lab in pre-paid postage envelope, within a few days your custom fitted trays are mailed back to you, and you are on your way to a whiter brighter smile! I've literally only used my whitening trays 4 times. I am a busy mom and always on the go so I only wear them for about 45 minutes-an hour at a time, but the recommended time is between 1-3 hours, even after just one wear I noticed a difference. As I said my teeth were pretty white to begin with but they had that dull yellow coffee addict tinge, Smile Brilliant has not only brightened my teeth but call me crazy I feel like they are shinier. Another great feature about Smile Brilliant is that since you already have your own custom trays if you feel like in a few months that you need another round of whitening, you can order a pack of just the whitening gel, without ordering another whole kit. Why waste your money on those strips that run almost $50 and barely work, your teeth and your smile is the first thing that people notice, we should all invest in our smile and be confident enough to Smile Fearlessly. My skincare regimen is basic, it typically consists of products that can easily be found at Target or Amazon, and then one morning while chilling out to one of Jennifer Fisher's snap stories, I came across Glossier and the The Balm Dotcom. I have to tell you, there was something about the name Balm Dotcom that got me, and it got me good, their Balm Dotcom, can be found in my nightstand, my jacket pocket, my handbag even the husband is using it, personally my favorite is the rose, but the coconut is a close second. Then came The Super Pack, now I am not a serum user, usually eye creme and moisturizer is as far as I go, but something about the Super Pack lured me in, and just like that I am officially a serum convert. 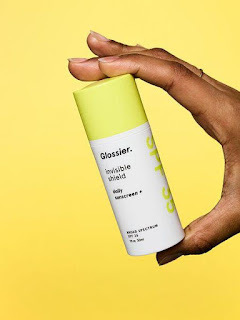 There is something about this company, something about it's products purity, something about the simplicity of the products, so when I heard about their new Invisible Shield Sunscreen, I just knew I had to try it. Added to bag and checked out because sunscreen is not optional. Have you tried Glossier yet?? Hey Guys!! Do you need an activewear re-fresh?? Then head over to Bandier and hit their sale for up to 50% off of some of the hottest brands of activewear!! Plus...Plus if you use Ebates which I'm sure you all do right????? If you use Ebates get 15% back on your purchase 15% back!!!!! What are you waiting for, sizes are going fast! For that fashionably fit Mama, whether it's SoulCycle, yoga, boxing or maybe your Mama doesn't work out at all but just lives in active wear (because don't we all) as she schleps around all day, this is the gift guide for her! 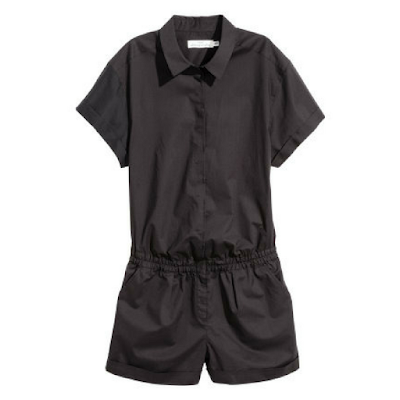 The minute I laid my eyes on this simple yet classic romper I knew right away that I could take it from day to night..
For Day: This versatile romper is perfect for a Target run, or a walk through the farmer's market. I would effortlessly through it on with a cool pair of sandals, a must have straw tote, and I am never without a pair of sunnies. 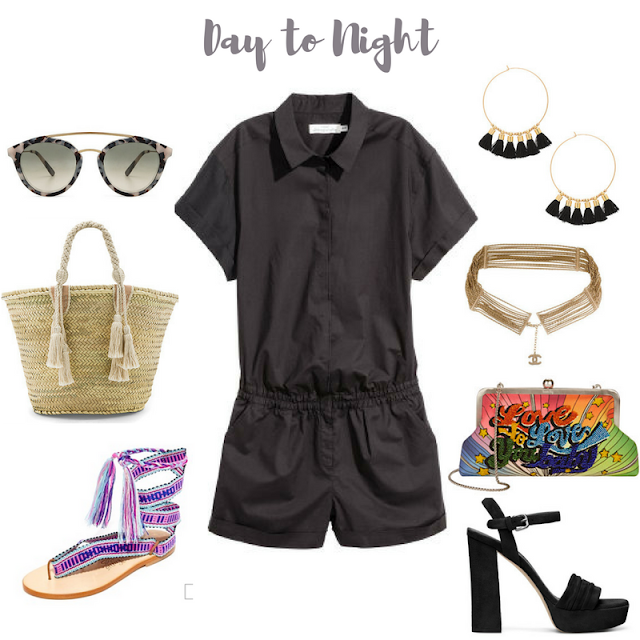 For Night: This romper effortlessly transitions to night replace the flat sandals with a sandal with chunky heel like these from Stuart Weitzman, replace that straw tote, with a hip clutch, I am so obsessed with this one, add a belt like this one from Chanel, a funky pair of hoop earrings and you are good to go!